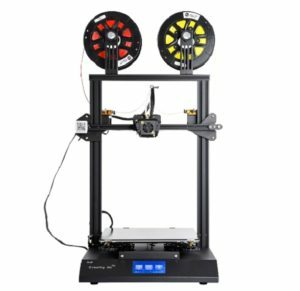 Latest model release from Creality, the CR-10S PRO, with nine functions and parts. Imported Teflon tube, Meanwell mother board, colour touch screen, auto levelling, Bondtech double gear extrusion mechanism, resume print function and filament detector are all standard functions on this model. 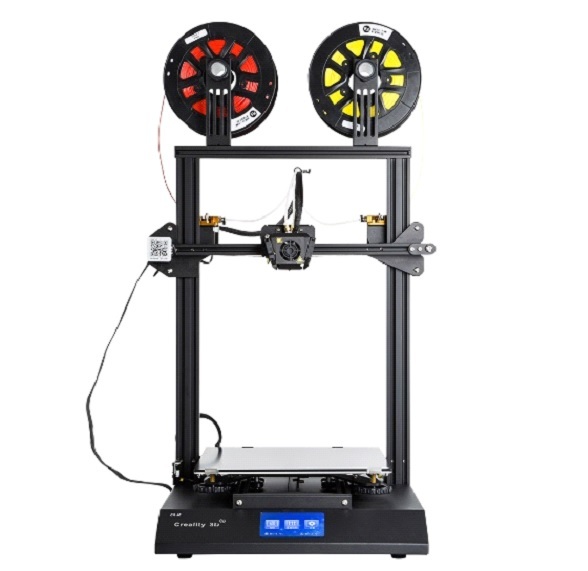 Printing Material: 1.75mm – ABS, PLA, Wood, TPU and gradient colour, carbon fiber etc. 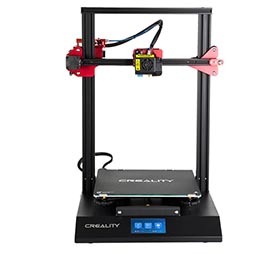 The Creality CR10-S5 is the pioneer of affordable large format 3D printers, ideal for projects when size matters. 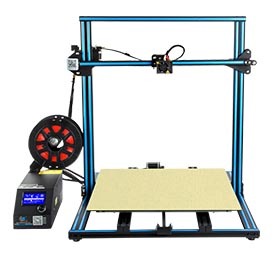 Resume print function, filament detector, dual lead screws on Z-axis and upgraded print bed are all standard specifications. After massive success with the CR-10S range Creality has launched their latest model the CR-X. Dual-colour printing double-injection and one-out nozzle design. Two filaments, two extruders, one nozzle. CR-X is equipped with dual fan cooling, Carboloy silicon printing platform, 4.3-inch full colour touch screen and many other special features. 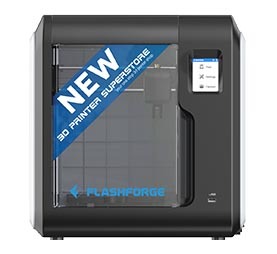 Flashforge Adventurer 3 is a Plug-and-Play, fully enclosed desktop 3D printer that presents hassle free operation and printing. Auto bed levelling, removable heated build bed, built-in 2 million pixel HD camera that allows users to monitor their prints remotely in real-time through FlashCloud are all standard specifications. 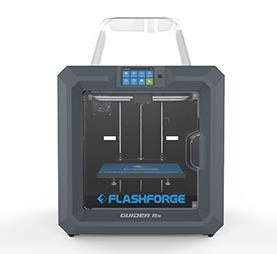 Flashforge Guider is a professional FFF 3D printer. This plug-and-play printer has built up a trustworthy and reliable reputation for its output and functionality. Fully enclosed, heated build bed, full colour touch screen, resume print function and filament detection are also standard specification. The Guider IIS is equipped with a camera and filter system. 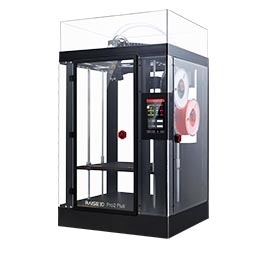 Raise 3D Printers are professional, industrial 3D printers with new generation technology. 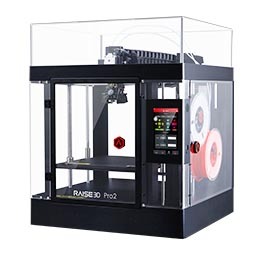 Raise 3D are global award winning machines, introducing new benchmarks in professional 3D printing. 32 Bit Motion Control Board, 7" Interactive full colour touchscreen, diverse filament compatibility (300℃), dual extruder – electronic driven lifting; 4× increased torque performance. Printing Capabilities: 10-micron layers, diverse filament compatibility, 300℃ nozzle temp. Other features: Wifi connectivity, HEPA filter system, Built-in-camera, resume print (Second Generation) aerospace industrial grade build platform. Smart Office Connexion © 2018. All Rights reserved.